Often referred to as ‘Suburb-iton’, this leafy town on the southern bank of the River Thames is quintessentially suburban. As the fictional location of TV show ‘The Good Life’, it’s an image which has stuck since the early seventies. That said, it manages to remain unique from neighboring suburbs thanks to its attractive Victorian era properties and impressive transport links which connect to Waterloo in 15 minutes. Whether it’s the young professional or growing family, Surbiton appeals to a diverse population. It’s not surprising given the top-performing schools of the area, as well as the local attractions. In the vibrant town centre, all of the major high street retailers can be found, while stylish restaurants offer a selection of international cuisine. Much of the appeal lies in the wide open spaces which are dotted amongst the residential pockets. Residents can walk along the scenic Thames which meanders nearby, or take the route known as the Hogsmill Valley Walk which navigates to the east of Berrylands. Ferry journeys also travel from here to Hampton Court Palace, offering the chance to tour these spectacular grounds. Finally, the leisure and cultural attractions in and around Surbiton offer something for all. 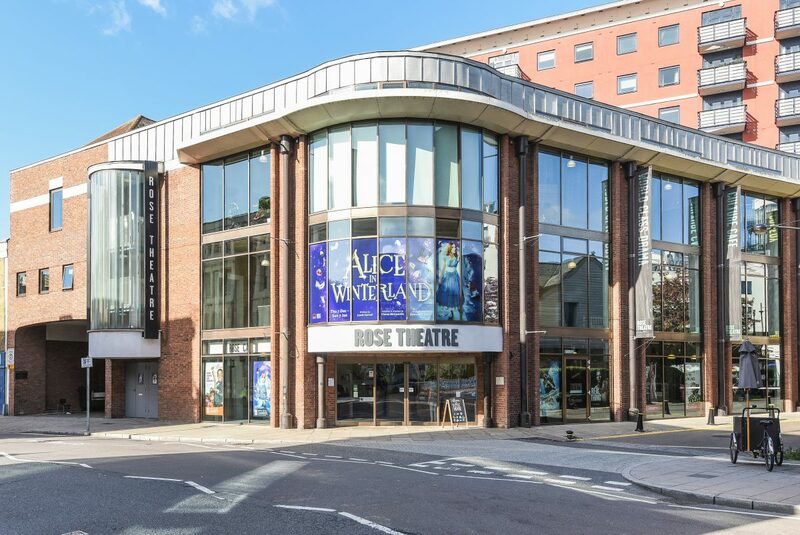 With Kingston only a short distance away, residents have access to impressive wellness centres, not to mention the historic Rose Theatre, a cinema and the prestigious Hampton Court Palace Golf Club. Surbiton has a reputation for its easy commute thanks to the speedy train service to Waterloo, taking as little as 15 minutes. That’s even faster than many of the more central districts such as Southfields, Putney and Earlsfield. 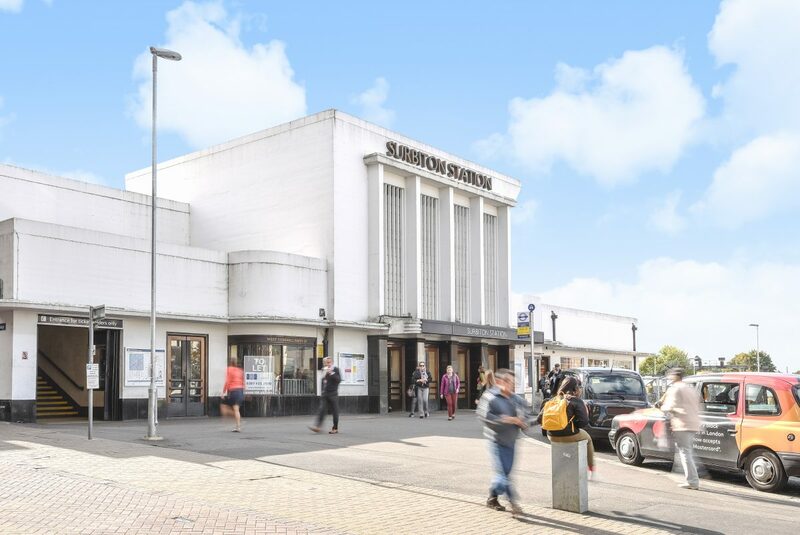 The impressive Surbiton railway station, which sits within a Grade II listed building, also offers half-hourly trains which stop at Clapham Junction for those changing to Victoria. Other services travel to Woking, Hampton Court and Basingstoke. Alternatively, those travelling by car have the convenience of the nearby A3 which surrounds Surbiton. This links to the M25 in a short distance, offering convenient access to Central London and other major cities across the UK. Both Heathrow Airport and Gatwick can be reached in approximately 30 minutes via the M25. Surbiton is home to an excellent choice of private and state schools. At the primary level, many have been judged ‘outstanding’ by the government watchdog Ofsted. These include Christ Church C of E, Tolworth Infant and Our Lady Immaculate. The private pre-prep, Linley House in Berrylands Road is another desirable option, as well as the local prep, Shrewsbury House. For pupils aged 11 to 18, the council run grammar schools are Tiffin for boys and Tiffin for girls. These have both been judged ‘outstanding’. Alternatively, the nearby comprehensives – The Holy Cross for girls and Richard Challoner for boys – are consistent top performers. The local private schools include the coeducational Kingston Grammar and Surbiton High for boys which offer sixth form facilities. For higher education, an array of courses and adult learning can be undertaken at Kingston College. Surbiton’s history can be traced back to the 12th century. During its earliest days as a settlement, much of the area was cultivated for land where residents included a handful of farmers and local tradespeople. Despite its proximity to the capital, it remained largely rural until the arrival of the railway in 1838. Following the rejection of a proposed London to Portsmouth line, the local council chose to re-route through Surbiton instead. This controversial decision, which sought to preserve the coaching and innkeeping traders of neighbouring Kingston, happened to be a blessing for Surbiton. The area soared in popularity as a new commuting suburb was born. Residents could now reach Central London with ease, while the leafy surroundings were a major draw for those wanting to leave behind the smoggy capital. Surbiton’s historic character remains today thanks to its large Victoria-era cottages and houses. Although development has brought modern infrastructure, much of the open spaces which made the area so desirable were preserved and are still enjoyed by residents. Whether it’s the cultural sights, family-friendly entertainment or nearby attractions of Central London, there’s plenty to see and do in Surbiton. Here are some of the highlights. By road: Surbiton can be reached from exit 10 of the M25 motorway before continuing onto the A3 and following signs for Surbiton town centre. The A3 also offers convenient access into Central London. By rail: At Surbiton railway station, mainline and Crossrail services link to London Waterloo, nearby Berrylands and other major hubs within outer and central London. Chancellors estate and lettings agents in Surbiton can be found on St Mark’s Hill, opposite the railway station and within minutes of all the major bus routes. 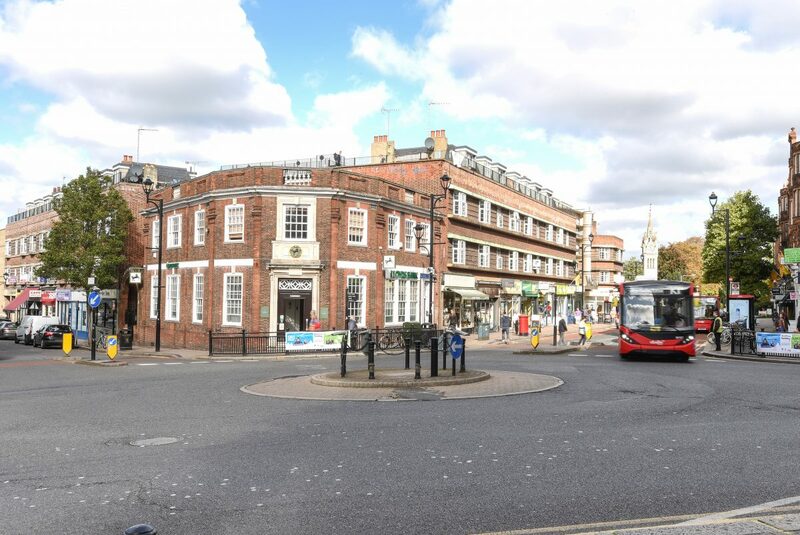 It is ideally located for buyers, sellers, landlords and renters looking to find out more about property values in Surbiton. The wide range of sales and letting services available at our Surbiton branch include free, no-obligation market appraisals, an extensive portfolio of residential and commercial properties, land and new homes, property management support, and expert investment and market advice. As well as Surbiton, the areas we cover include Tolworth, Berrylands, New Malden, Thames Ditton, Hinchley Wood, Kingston and Chessington. 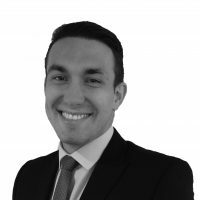 Ryan Anderson - Lettings Manager. Professional and efficient service . Good communication with clients. Easy to deal with. Great service - nice team to deal with.